The Caspian Basin is a region rich in energy and strategically important in terms of regional energy security, since Asian and European main transportation corridors pass through its territtory. 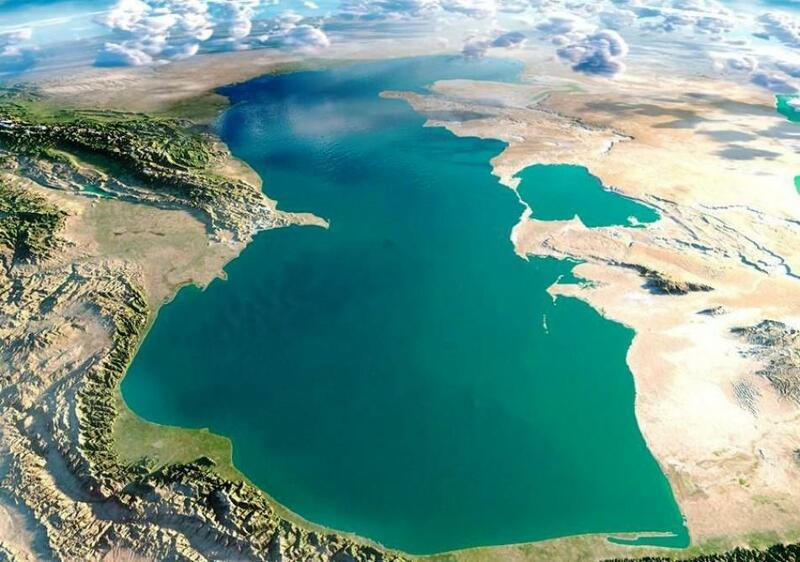 Moreover, the Turkmen sector of the Caspian Sea is extremely rich in promising areas for hydrocarbon explorations. Over 200 oil and gas fields have been discovered in Turkmenistan so far. According to various estimates, Turkmenistan may possessabout 50 trillion cubic meters of gas. In case this data is true, then the Central Asian country occupies the first place in the world in terms of natural gas reserves. Turkmenistan's resource potential in oil equivalent is 71.2 billion tons, of which 53 billion tons are concentrated onshore,and 18.2 billion tons - on offshore areas. The Turkmen sector of the Caspian Sea is divided into 32 licensed blocks, in five of which oil works are undergoing, Chairman of Turkmen StateOilConcern Dovletdurdy Hajiyev said, according to a message of the company. "The remaining blocks are the subject of direct non-exclusive negotiations for all interested parties," he noted at the international energy forum in Ashgabat, saying that the priority is to conclude production sharing agreements with foreign companies. Local experts note that more than 80 percent of the resources of the Turkmen sector of the Caspian Sea are located in deposits at depths of more than 3,000 meters and in poorly studied areas of oil and gas accumulation. Middle Caspian and South Caspian oil and gas basins are considered promising. The message reads that under the law of Turkmenistan "On Hydrocarbon Resources" and the concluded production sharing agreements, Turkmenneft successfully cooperates on the implementation of a number of projects with Dragon Oil, Eni, Buried Hill, Mitro International and ARETI companies. During the talks between Turkmen President Gurbanguly Berdimuhamedov and CEO of Buried Hill Energy Peter Kallos, the sides discussed the results of joint work and prospects for cooperation, including in the field of exploration and development of oil and gas fields in the Turkmen sector of the Caspian Sea. In this context, the parties noted significance of the Convention on the Legal Status of the Caspian Sea signed in August this year, which opened up new opportunities for enhancing mutually beneficial cooperation of coastal states with the world business community. Turkmenistan plans to further explore and develop the promising oil fields on the Caspian Sea shelf. Turkmenneft has already developed a field project. As part of the first stage of field development which will require about $ 600 million , 60 exploration and production wells are planned to be drilled. According to preliminary calculations, the increase in geological reserves of oil is estimated at 38.5 million tons, and in the course of further work, the total reserves of the field can be increased to 87.3 million tons. Turkmenistan plans to attract foreign investment by reimbursing the money spent by a part of the produced oil. For this purpose, Turkmenistan proposes to create a joint venture, where 90 percent of the work will be performed by Turkmenneft, and a potential foreign investor will provide services. The investments toward the country's oil and gas sector include three onshore production sharing agreements: the Nebitdag Contractual Territory operated by ENI; the Khazar project operated jointly by the Turkmennebit state oil concern and Mitro International of Austria; and the Bagtyarlyk Contractual Territory operated by the China National Petroleum Corporation (CNPC). According to the State Agency for Management and Use of Hydrocarbon Resources under the president of Turkmenistan, the amount of foreign investments in the development of oil and gas projects exceeded $3 billion in 2014 as part of the production sharing agreements. The Dragon oil company based on the PSA signed in 1999 works on contract area 'Cheleken. The company produces Caspian oil on the fields 'Jeitun and 'Jigalibek and having repaid their investments, get stable profits over a long period of time by selling raw materials mainly through the port of Baku. Malaysia's Petronas is producing oil and gas, London-listed Dragon Oil is extracting oil, while Germany's RWE, Russia's Itera and Cyprus-headquartered Buried Hill are prospecting for oil on the sea shelf. There is a serious effort to bring Turkmen gas to Europe. Talks on Turkmen gas supplies to Europe are in progress since 2011. The Southern Gas Corridor, including the Trans-Caspian project, remains a priority for the European Union. The length of the gas pipeline extending to the shores of the Caspian Sea at the seabed of the Caspian Sea will be 300 km. In the context of delivery of Turkmen gas to European markets through South Gas Corridor, the ministers of energy of Azerbaijan, Turkey, Turkmenistan and Vice-President of the European Commission for Energy Union Maros Sefcovic signed the Ashgabat Declaration on energy in May 2015. At present, the main buyer of Turkmen gas is China. Currently, more than 90 percent of Turkmen gas is supplied to China. As many as 31.7 billion cubic meters of natural gas was imported from Turkmenistan by China in 2017. Turkmenistan is interested in diversification of its export routes to be not depended on a single market. The TAPI gas pipeline (Turkmenistan-Afghanistan-Pakistan-India) is under construction in the south by which Turkmen gas will reach Pakistan in two years. The total cost of the TAPI pipeline is about $ 7 billion. The annual capacity of the gas pipeline will be 33 billion cubic meters. Turkmengas State Concern holds 85 percent stake on construction and operation of pipeline. Afghanistan, Pakistan and India will each cover 5 percent. Raw material for TAPI will be provided from Galkynysh, the largest natural gas field in Turkmenistan. The main investor is the Asian Development Bank, which technically and financially supports the project. The Islamic Development Bank has allocated $ 700 million for the construction of the Turkmen part of the pipeline.